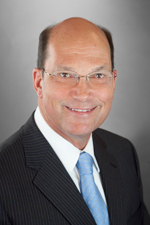 Mr. Lestikow joined Hinshaw & Culbertson LLP in February 1992. Since its inception, Mr. Lestikow has been a member of the Leading Lawyers Network, and has been recognized by his peers as a "Leading Lawyer" in the category of Trusts, Wills and Estate Planning Law, with extensive experience in Asset Protection, Corporate and Business Law and Real Estate Law. Included in Martindale’s “Bar Register of Preeminent Lawyers"
"Family and Philanthropy," University of Illinois, Public Affairs Center, Springfield, Illinois, May 2016. "Asset Protection Planning," Hinshaw University, June 2013. "Asset Protection Planning," Illinois State Medical Society webinar, October 2012. "Asset Protection for Physicians," Rock Island County and Scott County Medical Society, East Moline, Illinois, April 2011. “Asset Protection and Family Wealth Management for Physicians,” Illinois State Medical Society Seminars, Collinsville and Peoria, Illinois, July 2006. “Protecting Family Assets,” IICLE, Advanced Asset Protection Planning for 2006 seminar, Bloomington, Illinois and Chicago, Illinois, December 2005. “Planning and Drafting for Illiquid Assets,” IICLE, 48th Annual Estate Planning Short Course, Chicago, Illinois, April 2005, and again in Urbana, Illinois, May 2005. "Post-Mortem Planning with Disclaimers," IICLE, Springfield and Chicago, Illinois, June 2004. Mr. Lestikow is a frequent writer and speaker on estate planning topics for the Illinois Institute for Continuing Legal Education (IICLE). He helped plan the 48th, 50th, 52nd and 54th Annual IICLE Estate Planning Short Course (2005 to 2011). Mr. Lestikow is the Co-General Editor of "Asset Protection Planning," published by IICLE in February 2007, Supp. 2010. He also authored a chapter, “Practical and Ethical Considerations”. In addition, Mr. Lestikow served as General Editor of “Estate Planning for Illinois Lawyers: The Basics and Beyond,” IICLE, 2001, 2005, 2008 and due in 2011, and authored the chapter dealing with the initial meeting and client relationships. He is a Co-General Editor of “Postmortem Estate Planning,” (IICLE 2014 and 2010) and wrote its “Asset Protection” chapter.